Be the first to share your favorite memory, photo or story of Rosalie. This memorial page is dedicated for family, friends and future generations to celebrate the life of their loved one. Rosalie was born on February 22nd, 1940 in Ottumwa, Iowa to Alva and Arlene Orman. She earned her BSN nursing degree from The University of Iowa in 1973 and remained an avid Hawkeye fan. Rosalie had a successful career at the Visiting Nurses Association of Johnson County. She quickly rose from staff nurse to patient service manager, and ultimately to the executive director from 1985-2002. 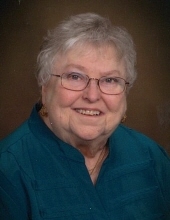 Rosalie was an active member of many community organizations including the HACAP Board, American Cancer Society, Iowa City Hospice Board, and the United Way Board of Directors. A devoted mother and daughter, she loved life through the simplest pleasures, spending time with family and friends, dining out, shopping, reading, providing treats to neighbors, and playing games. Rosalie was a wonderful woman who will always be loved, cherished and greatly missed by family and friends. Memorial gifts may be made to The Bird House Hospice Home or Iowa City Hospice. To send flowers or a remembrance gift to the family of Rosalie Rae Rose, please visit our Tribute Store. "Email Address" would like to share the life celebration of Rosalie Rae Rose. Click on the "link" to go to share a favorite memory or leave a condolence message for the family.